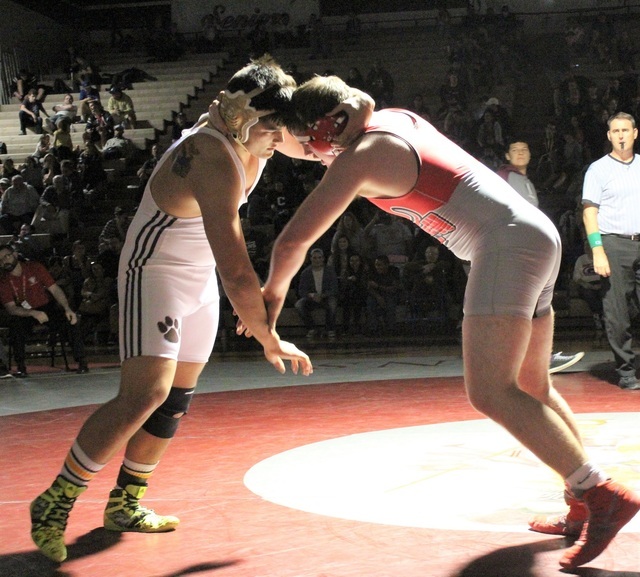 Arbor View’s Peyton Prussin beat Ryan Mitchell of Spring Valley 10-6 to take third place in the Class 4A Sunset Region tournament at Cimarron-Memorial and clinch the Aggies’ second straight region title before the championship matches started. Using an array of technical moves to overcome her stronger opponent, Prussin beat Mitchell 10-6 to take third place in the Class 4A Sunset Region tournament at Cimarron-Memorial. 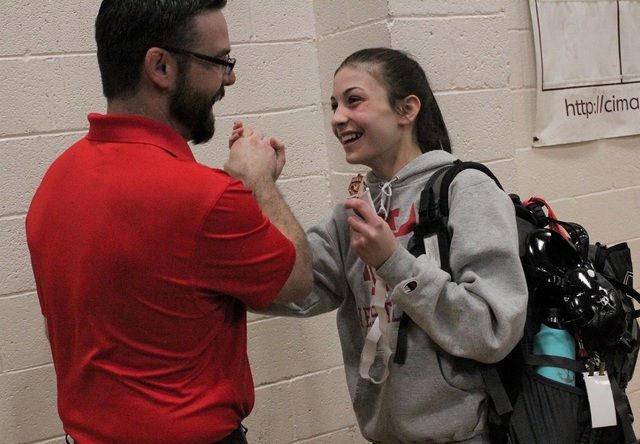 And while she avenged her loss in the third-place match last season and qualified for next week’s state tournament at Spanish Springs High with eight of her teammates, Prussin also delivered Arbor View its second straight region championship. According to the data provided by Trackwrestling.com, it was Prussin’s win that put the Aggies out of reach, long before the championship matches started. Arbor View finished with 207 points, while Shadow Ridge took second place with 179. Cimarron-Memorial came third with 163½ points, Centennial finished fourth with 160½ and Faith Lutheran rounded out the top five with 109½. 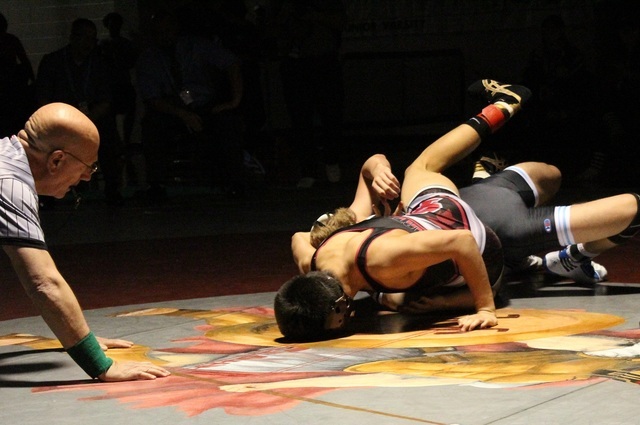 Two Aggies won region titles, as Tristan Gallagher outlasted Shadow Ridge’s Weston Presser 6-2 in the 113-pound division, while 160-pounder Matthew Alejandro remained unbeaten against Nevada opponents when he dominated Shadow Ridge’s Marc Williams in a 21-6 victory. 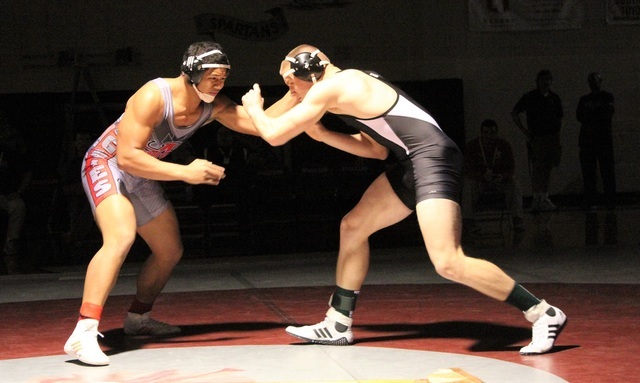 Arbor View’s J.J. Tuinei lost what ended up being the closest championship bout, as he dropped a 5-3 overtime decision to Palo Verde’s Jonathan Carpenter in the 195-pound class. Shadow Ridge had two region champions in Javier Zuniga, who took the 106-pound title with a 7-4 victory over Cimarron-Memorial’s Lance Crespo, and 132-pounder Alika Villiatora, who pinned Durango’s Ethan Slater at the 5:27 mark. 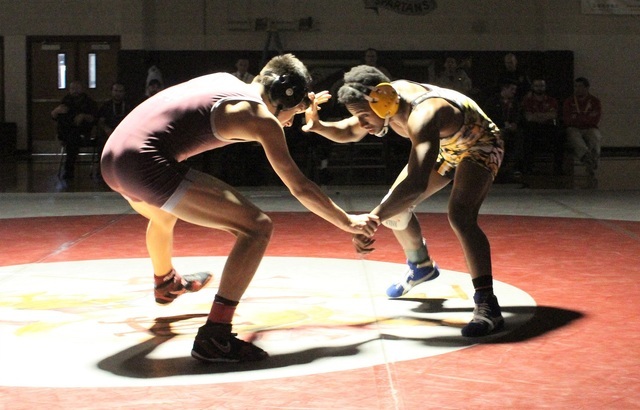 Twin brothers Nathaniel and Daniel Rodriguez from Cimarron-Memorial dominated their matches, as Nathaniel routed Clark’s Melekte Demdemyanos in the 120-pound title match 11-0, and Daniel pinned Centennial’s Peyton Kohls at the 1:30 mark to win the 126-pound belt. At 138, Centennial’s Nico Antuna defeated Durango’s Kaden Renshaw 11-2 to win his first region title after qualifying for state the past two years. Antuna’s teammate Arath Rangel took home the 285-pound championship after he pinned Palo Verde’s Kaimana Phillips at the 2:33 mark. 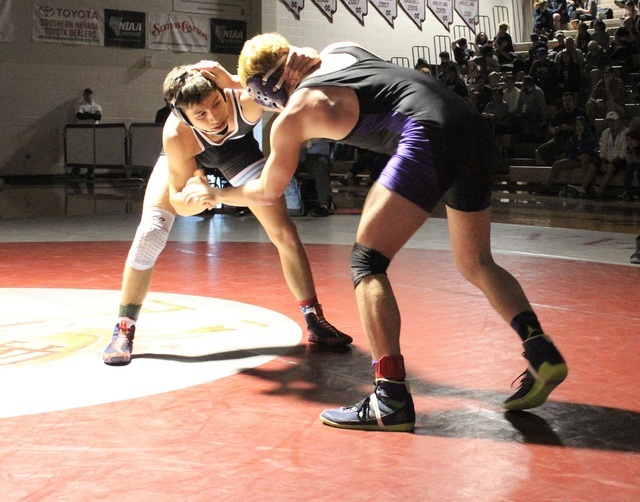 Faith Lutheran’s Peter Enos defeated Arbor View’s Ryder Marchello in the 145-pound championship, while his teammate Connor Bourne took the 182-pound title with an 11-3 win over Centennial’s Brian Clark. Bishop Gorman’s Joey Mazzara won the 170-pound division with an 11-3 win over Clark’s DeAndre Smothers. Defending state champion Elias Aguilar III of Bonanza outpointed Arbor View’s Matthew Smith 7-3 in the 220-pound division.